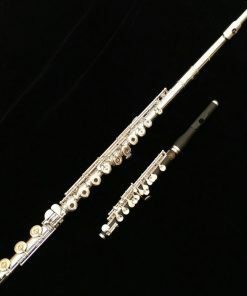 Pearl 665 Quantz Series Flute with New BREZZA Headjoint! Free Upgrade to the new Brezza Headjoint! The Pearl 665 Quantz traditionally comes with the “Largo” headjoint. Over the years, Pearl has started to allow the 665 Quantz to be equipped with other professional model headjoints to further improve the product’s value offering. The first headjoint to be be able to be added to the 665 Quantz was the “Forza” cut headjoint that is normally not found until you upgrade to the more expensive Dolce models. The Forza cut provides more brilliance, projection and response over the “Largo”, but the Largo still maintained a mellower tone. The desire to have a headjoint that possessed the improved response & power of the Forza and the richer, sweeter tonal colors of the Largo lead to the development of an all new headjoint design: Brezza! 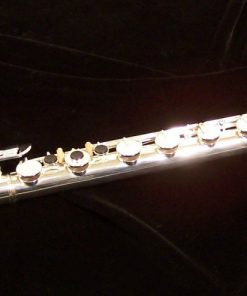 The Pearl Brezza headjoint offers a rich, sweet & focused sound on the Pearl 665 Quantz flute. 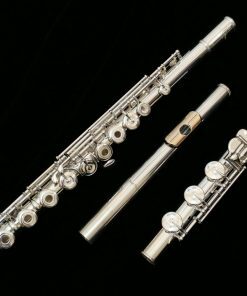 By utilizing a slightly smaller design on the back of the blowing side of the lip plate and a lip plate drop off that is not as drastic as the Forza, the Brezza flute offers a wonderful balance between tonal depth and power. 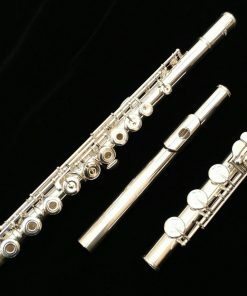 For players that tend to prefer the more American style professional flute design, the Brezza headjoint will impress. So far, the majority of our teachers locally have found the Brezza to be their preference for their more advanced students. However, for the player who prefers something more open and easier, the Pearl Forza cut is the better option.